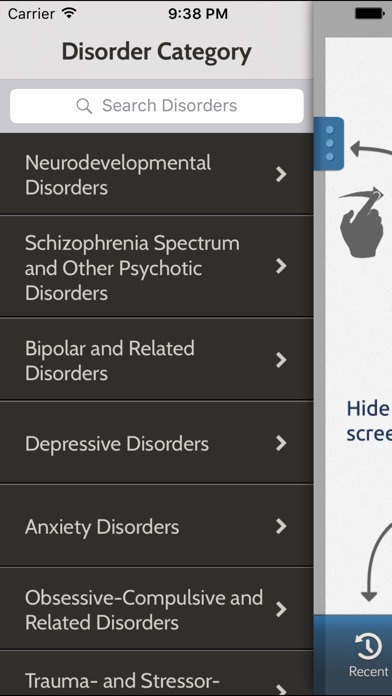 The official DSM-5® app for iPhone and iPad The American Psychiatric Association's Diagnostic and Statistical Manual of Mental Disorders is the preeminent psychiatric reference used by clinicians and researchers to diagnose and classify mental disorders. The new and best-selling fifth edition is the most comprehensive, current, and critical resource for clinical practice available to today's mental health clinicians and researchers of all orientations. The DSM-5® Diagnostic Criteria Mobile App provides mental health practitioners, researchers and students fast access to vital DSM criteria and codes so they can fully integrate the new data into their practice and study. Users have complete offline access to all of the criteria sets as well as online access to supporting videos, commentary and resources. Powerful search and customization tools aid and enhance assessment of symptom presentations in a variety of clinical and administrative settings. Features •Up to date access to ICD-9-CM and ICD-10-CM codes for clinical and administrative use •Valuable video commentary from the DSM-5 task force members highlighting changes from DSM-IV to DSM-5 •Streamlined navigation of the classification hierarchy •Robust disorder, acronym, code and symptom search functionality •Keeps track of recently researched topics and allows the user to bookmark frequently used information •iPad specific interface with side-by-side reading and navigation screens •Social media integration for Facebook, Twitter, LinkedIn, and Google+ •Does not require registration, subscription or software downloads The DSM-5 Diagnostic Criteria Mobile App is updated periodically to reflect coding updates, changes, and corrections. 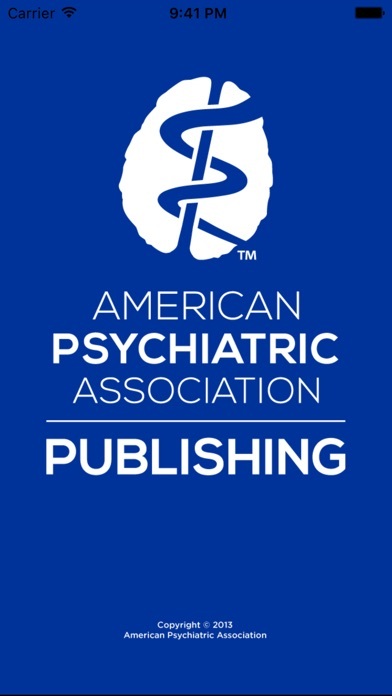 To review the list of coding updates, please visit: http://dsm.psychiatryonline.org/ About American Psychiatric Association Publishing American Psychiatric Association Publishing, a division of the American Psychiatric Association, is the world’s premier publisher of books, journals, and multimedia on psychiatry, mental health and behavioral science. We offer authoritative, up-to-date, and affordable information geared toward psychiatrists, other mental health professionals, psychiatric residents, medical students, and the general public. 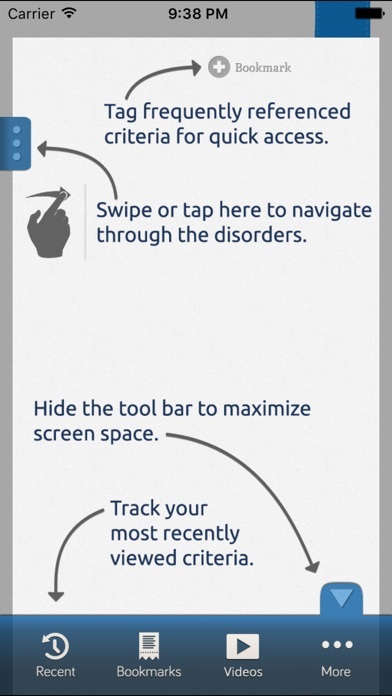 This app will not be everything you need to make a correct diagnosis. However, it does what it says it does and I find it useful. As far as the price it is perhaps overpriced, due to the lack of information on Z codes (which does seem like an easy fix), etc. But keep in mind, full access to APA’s DSM-5 online, a complete and very useful tool, is over $500 for an individual 1 year subscription. You likely purchased the book version of the DSM-5 for over $100. Here, you are paying for quick access to criteria for the billable diagnoses. I found all the reviews I read accurate, so read them and decide whether or not the app is worth it for your purposes. If your needs have been identified as missing from the app, then it will be a disappointment. The app functions very well and is easy to use. I expected from the price for it to be very useful. But despite its easy function, an appalling lack of diagnosis limits its use. I keep having to use other apps to locate diagnostic criteria for psych ICD-10 codes. It is simply not complete. What it does have is helpful enough to make accurate diagnosis, but once you are done with common ones, and need a little help with less common, this often falls short. Bottom line? Functional but not worth it. I purchased this app in error, however I cannot even open it. I asked iTunes for a refund and they state this app does not qualify for a refund. The videos that are mentioned are "not compatible with [my] device" (iPhone or iPad). I guess I'm just here on a heuristic journey. 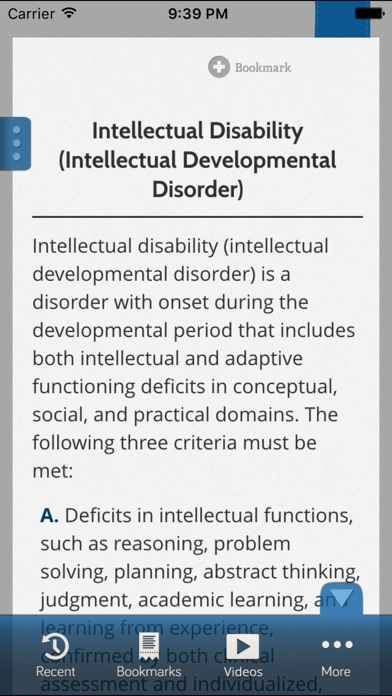 I proffered 5 stars up for this app because I felt humbled to behold the excesses of DSM 5 in the palm of my hand. My 256 GB iPhone 7+ is now replete. A.P.A. for God sake, I knew she was in backlog too … put her to work straight away fixing the video playback "F" up? Latest update does not include 10/1/16 changes to ICD-10 codes (e.g., OCD changing from F42 to F42.2). Search function does not always work well in locating certain diagnoses. This app is expensive- please hire your app coders accordingly. I wish I would have read the reviews prior to buying this. It gives you a good overall view of the disorders but it is not good for clinical use. Definitely not worth the cost. I will be attempting to get a refund.